Happy anniversary to me and my hubby! When I saw these pillows at Ander’s Attic, a shop in my favorite online store, Etsy, I knew I had to buy them. Aren’t they adorbs? Etsy can get me into serious trouble, so I usually try to stay off the site. A lot of times I see things and think “I can do that!” and then I end up at the craft store trying to do a much bigger project than I anticipated. I should just leave certain craft projects to the professionals! Which is exactly why I wanted these pillows. 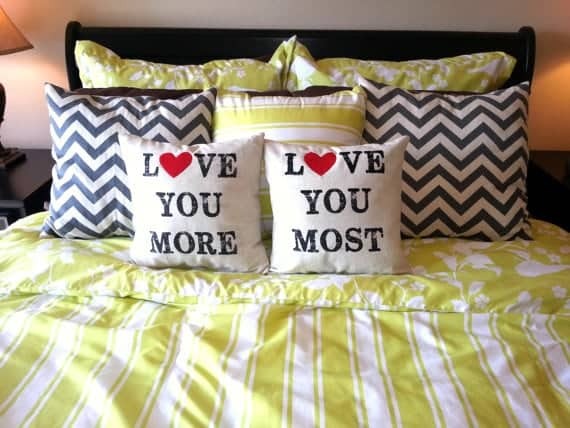 I know my husband and I aren’t unique by saying “love you more” and “love you most”, but I think these pillows are so sweet. I added them to my bed a few days ago as an early anniversary present….to myself. Ha! I’m pretty sure my hubs rolled his eyes when he saw MORE pillows on our bed. Pillows are so necessary when making a bed all pretty, don’t you agree? Yes, we need 11 pillows on our bed. For starters, our lucky number is 11. Doesn’t it make sense that we should have that many on the bed too? I was so impressed with how quickly I received these pillows because it was within a week. Whenever I order a handmade gift and receive within even 2 weeks I assume this person has their stuff together! I can hardly make it to the grocery store these days! Another plus is that the products at Ander’s Attic are amazing prices AND great quality. If you purchase from this shop, keep in mind that you are buying actual pillows and NOT a pillow cover. So, they’re stuffed. I am totally lusting over these chevron oversized pillows as well as these felt flower pillows. AH! Make the pillow madness stop! I should probably be asking for the chevron madness to stop too. If it suddenly goes out of style, we might go broke with me replacing everything in my house and wardrobe. You can see the stitching around the felt heart. If I’d made these myself you better believe I just would have hot glued that baby on. See, this is why I leave it to the professionals! Bonus – AndersAttic will customize the heart in any color you want. She will even print a different saying that is unique to you! Are you a pillow fanatic like myself? 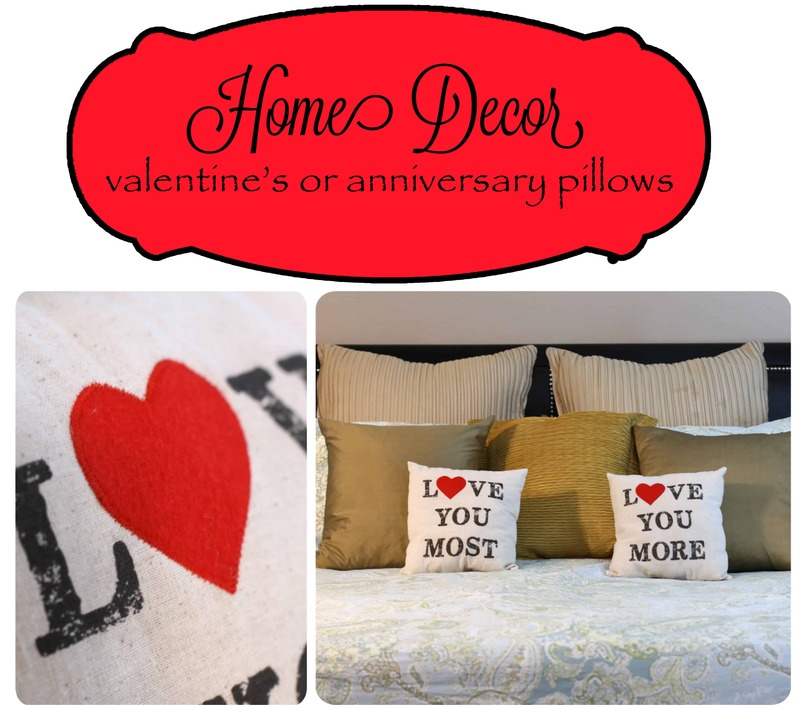 Do you want some cute Valentine’s pillows or just some unique pillows that you can’t find at Target? How about a family room couch that needs some sprucing up? If the answer is YES you should totally check out Ander’s Attic. Thanks Sarah! These are the cutest, aren’t they? Glad to know another decor-a-holic! I immediately went to Anders Attic and found a wonderful new gift site. Thanks for the heads up.